Separation anxiety in cats can be challenging, and sometimes the signs of insecurity can be tough to recognize. Cats have all different forms of separation anxiety, ranging from very mild to all-out crazy and destructive. But what causes a cat to hate being alone, especially if the change in behavior comes out of nowhere? These causes of separation anxiety might surprise you. As strange as it may sound, Daylight Savings Time can cause enough stress to a cat that she may develop separation anxiety. This is because many cats, even indoor ones, tend to define their lives by the sun. Have you ever noticed that your cat gravitates to the room where the sun is shining through a window, so she can catch the warmth of the rays? When you “fall back” or “leap forward” an hour, this can throw your cat’s entire schedule off because she is still trying to set her day by the sun. But all of a sudden, you’re leaving earlier or later than you’re supposed to, in your kitty’s view. If this is the cause, your cat will adjust eventually. Just don’t feed into her anxiety by delaying your departure or encouraging excessive meowing with treats. If you use the same routine every time you leave for work, this can actually cause stress for your cat. For example, she might realize that the sound of your keys means that you’ll be gone for a long time and she’ll start to get upset and anxious before you ever step out the door. So instead, vary your routine every morning so she doesn’t quite catch on. For example, you can pick up your keys right when you first wake up some mornings or at odd hours of the day and night so she hears that sound and it doesn’t mean you’re leaving. Try things like putting on your shoes early or putting them on and not going anywhere, or feed her breakfast at different times after you’ve woken up. If you change things up every morning, she’ll be less sure what’s going on and won’t get as worked up and anxious. Stress hormones can wreak havoc on a cat’s body. 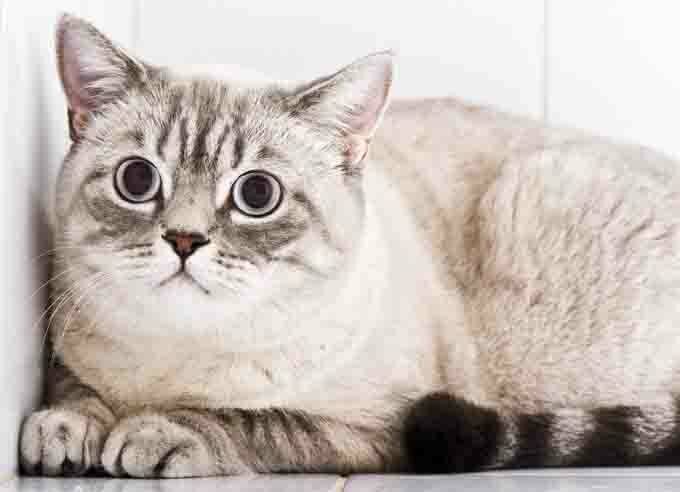 If your cat has started getting anxious when you leave, her stress hormones might actually be making the situation worse. Stress can cause her to have an upset stomach, which can lead to peeing or pooping in inappropriate places. She might also feel the need to spray on everything in the house in an attempt to feel more secure. Try buying diffusers that emit scents that mimic a cat’s calming pheromones to combat the stress. It might not be so much that she hates being alone, but she hates being bored. So find things to keep her entertained while you’re gone. Keep a window open so she can see outside. Hide small pieces of food around the house that she can hunt. Or buy her a puzzle toy that drops treats while she plays with it. This last suggestion gives an added bonus of rewarding her while you’re gone, so she’ll learn to make positive associations with being alone. If your cat is just very social, you might consider adopting a second cat to keep her company. Cats can actually get depressed or develop an anxiety disorder that is tough to fix, just like humans can. If the separation problem just feels too big, take your cat to the vet to see if the problem is being caused by illness. Your vet may suggest anti-anxiety pills or medications to help. Of course, pills like these should be a last resort after you’ve tried other suggestions. But some cats need that extra boost. The reason might quite simply be you. If you’re nervous about leaving your cat alone, you might be making way too big of a deal out of your departure. Cats can pick up on our emotions and if you’re anxious, your cat may get anxious too. Try not making a big deal out of leaving the house. Don’t coddle your cat or give her a long talk about how you won’t be gone for very long. Don’t treat her any differently when you leave the house than you would walking into the bathroom to brush your teeth in the morning. If you act like leaving isn’t a big deal, then she may be calmer and feel more relaxed about the whole thing too. 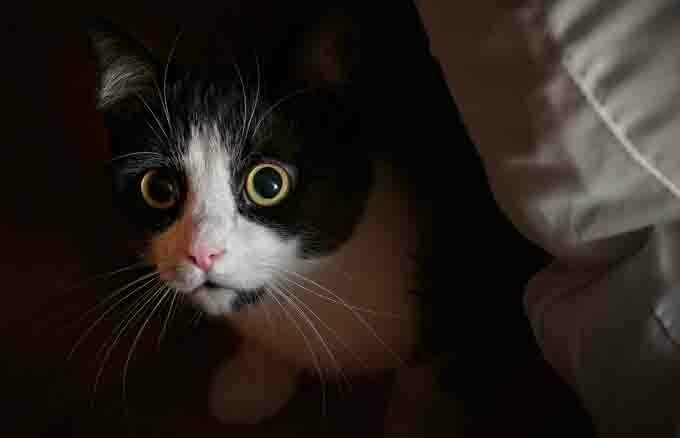 Have you encountered other sources of anxiety in your cat? Have you found other solutions? Share in the comments so we can discuss.